THE 2018 ASCE REGION 9 AWARDS NOMINATIONS PERIOD IS NOW CLOSED. ONLY NOMINATIONS THAT HAVE RECEIVED AN AWARD IN 2018 FROM ONE OF THE FOUR ASCE SECTIONS IN REGION 9 (LOS ANGELES, SACRAMENTO, SAN FRANCISCO OR SAN DIEGO) ARE ELIGIBLE FOR CONSIDERATION. IF YOU RECEIVED AN AWARD IN 2018 FROM ONE OF THE FOUR ASCE SECTIONS IN REGION 9 YOUR NOMINATION HAS ALREADY BEEN RECEIVED. THE 2018 AWARDS WILL BE PRESENTED ON MARCH 29, 2019, AT THE 13TH ANNUAL CALIFORNIA INFRASTRUCTURE SYMPOSIUM & AWARDS DINNER CEREMONY, WHICH WILL BE HELD AT THE SAN DIEGO CONVENTION CENTER, 111 W HARBOR DRIVE, SAN DIEGO, CALIFORNIA 92101. CLICK HERE TO VIEW PHOTOS FROM THE REGION 9 AWARDS DINNER ON MARCH 23, 2018. CLICK HERE TO VIEW A LIST OF THE 2017 INDIVIDUAL AWARD WINNERS. CLICK HERE TO VIEW A LIST OF THE 2017 PROJECT AWARD WINNERS. 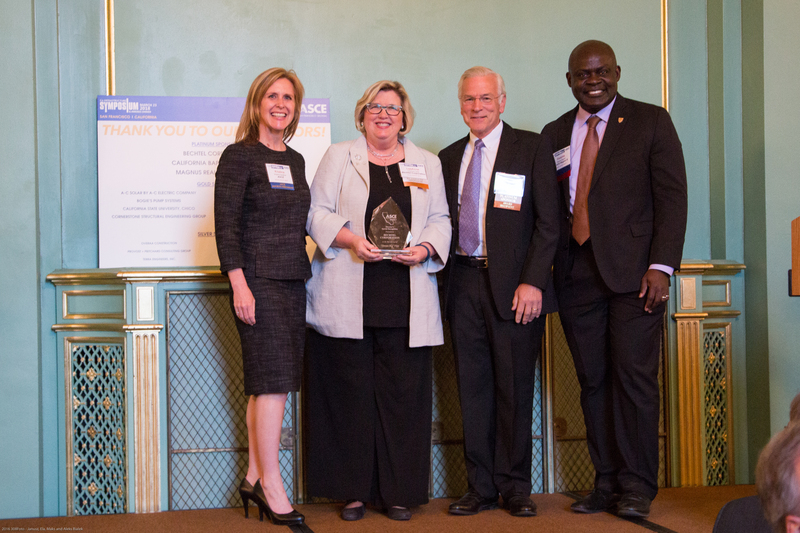 Each year, ASCE Region 9 presents Project and Individual Awards at the Annual ASCE Region 9 California Infrastructure Symposium and Awards Dinner. These Awards are selected from nominations made by the Sections, Branches, Younger Member Forum, Life Member Forum, Technical Groups, Committees, and individual members. Nominated projects shall be located within the boundaries of ASCE Region 9, being the State of California. The award submission shall all be electronic and submitted through this web site. Nominations should include all pertinent information to provide the best possible description of the nominee or project. The Award Nominations become the property of ASCE Region 9 and may be publicized without further permission. All Award nominations were reviewed by the Region 9 Awards Committee for consideration of a Region 9 Award, and selected award winners were presented with their awards at the 2017 ASCE Region 9 California Infrastructure Symposium and Awards Dinner, which was held on March 31, 2017 at the California Science Center in Los Angeles, California. Nominated projects shall be located within the boundaries of ASCE Region 9, being the State of California. Individual Nominees shall be ASCE Section members, except for the Excellence in Journalism Award and Legislator of the Year Award. The award submission shall all be electronic and submitted through this web site. Nominations should include all pertinent information to provide the best possible description of the nominee. The Award Nominations become the property of ASCE Region 9 and may be publicized without further permission. For further information, please contact the ASCE Region 9 Awards Committee Chair, Matt Kennedy, P.E., M.ASCE, at matt.kennedy@ghd.com. 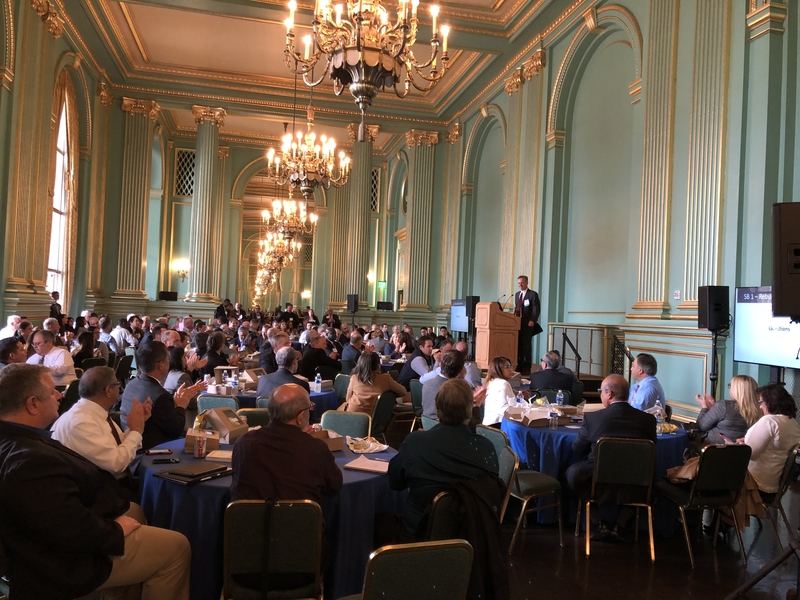 The 2017 Awards Dinner ceremony was held following the 12th Annual ASCE Regino 9 California Infrastructure Symposium on March 23, 2017, in San Francisco, California.